Enquirer – COVINGTON — For Covington’s first female mayor, one perk is serving as a role model to young girls in a state the Center for American Women and Politics ranks 38th in the nation for women in elective office. “(Young girls) need to build confidence at an early age and know their strengths, so they can make the most of every opportunity,” said Mayor Sherry Carran. A record-breaking 20 women are serving in the U.S. Senate this term and 78 women hold seats in the House of Representatives. Groob served two terms on Fort Mitchell City Council before campaigning for the Kentucky Senate in 2004 and again in 2008. She is the founder of ElectWomen.com, a founding board member of The Women’s Network and co-founder of Emerge Kentucky, a women’s candidate-training program. The Covington resident will be signing books in her hometown this weekend and hosting a discussion about what is happening to elect more women. 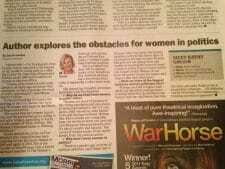 She shared her thoughts on women in politics with The Enquirer. 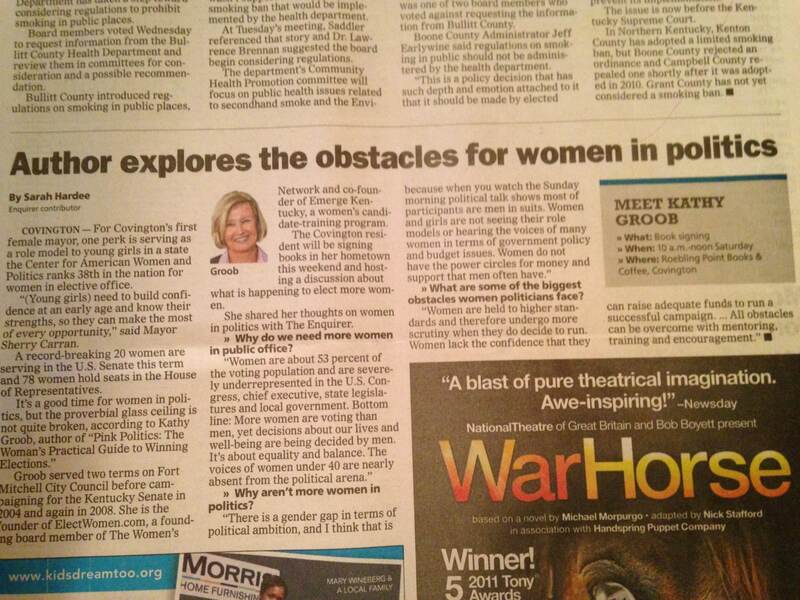 • Why do we need more women in public office?